"BRICKSCAPES CAN DO IT ALL"
Welcome to Brickscapes Building and Landscaping. We began as family run builders based in the south east of England. Now, with over twenty years of experience in the building industry, we have established a business as strong and durable as the high quality materials we use to complete our building projects whether big or small; our builders offer a professional landscaping service and quality brickwork in Surrey, Berkshire and London areas. At Brickscapes Building and Landscaping our aim has always been and will always be to offer you competitive prices without compromising on the quality of our builds; we achieve this at Brickscapes Building and Landscaping through our carefully selected team of builders who are trained in a wide range of building and landscaping services. Consequently, our experienced Brickscapes builders are experts in the management of small to medium sized building and specialise in building extensions, patios, brick walls, fences and providing high quality brickwork in Surrey and Berkshire. For a free and detailed quotation on building, landscaping or brickwork in Surrey or Berkshire or to speak directly with Brickscapes’ founders, Sean and Rick, visit our contact page. Our customers in Surrey and Berkshire can expect a personal, professional and quality service. 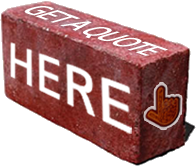 At Brickscapes Building and Landscaping we don’t just pride ourselves on the quality of our projects, but the quality of our customer care too; our builders always provide detailed, written quotations, fair and accurate prices along with quality craftsmanship. Further, at Brickscapes Building and Landscaping we do not hide prices, but value clear communication to ensure our builders are best informed to carry out each project and ultimately, finish each project to our customers’ specifications and standards. Complete customer satisfaction is our main goal and we are proud to say that almost all of our work comes from recommendations and repeat business. To find out more about Brickscapes Building and Landscaping, how we will manage your building, landscaping or brickwork project and our business values visit our about us page.